For the last few years, LEGO® has alternated their seasonal sets between vignettes and animals. 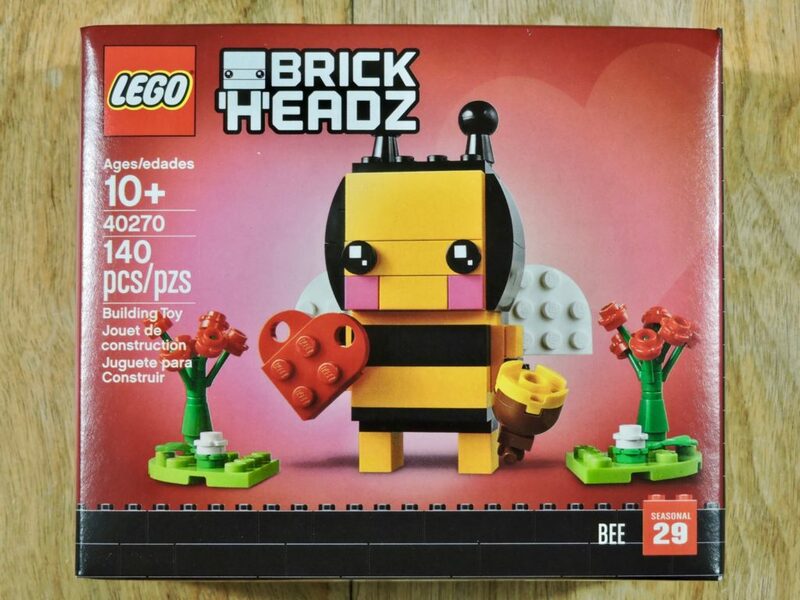 This year I was all set to be disappointed by another round of animal models, but they switched it up and now there is a whole slate of seasonal BrickHeadz. How could I pass up on that? Such a cute bee. It seems a bit odd to use a bee for a Valentine’s Day character, but I guess that a cupid might have steered into controversial waters. It is interesting to note that this set doesn’t have a place to write a note. In past years, the seasonal set boxes have had a small area on the box where one could dedicate it or otherwise write a few words. A couple of bags of elements, both rather full. I really like all the flame yellowish-orange elements I’m seeing in there. Most of the interesting elements in this set are new for 2018: the flower stems, leaf elements, and flower plates in three colors. 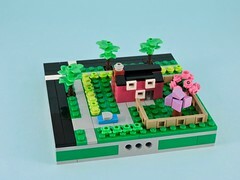 I saw most of these in last week’s review, 41335 Mia’s Tree House, but the white flowers were new to me. The seasonal BrickHeadz have a new printed tile. 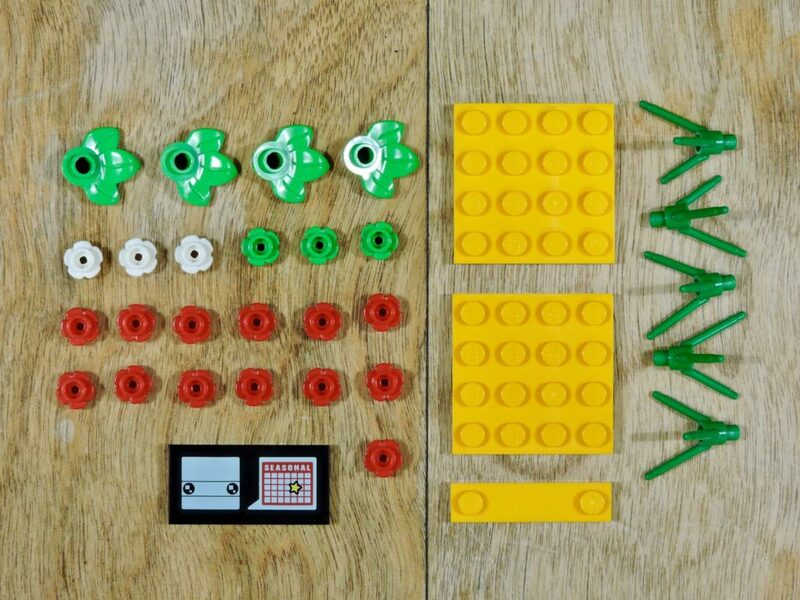 I wish they had done those as two separate 2×2 tiles, as I suspect that AFOLs might actually use them in builds. Those flame yellowish orange elements have only been in a couple of sets. 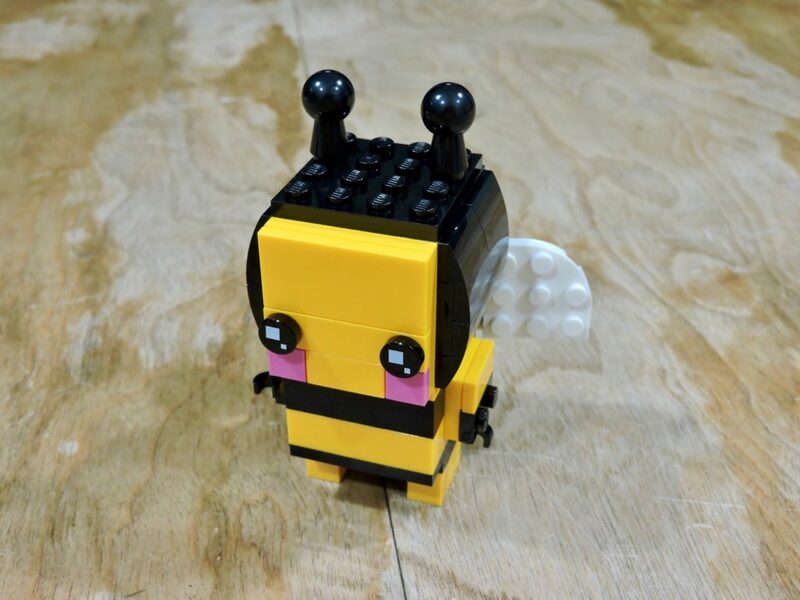 The bee goes together quickly and follows the BrickHeadz template. Nothing fancy in the way of technique, but I really like the character. 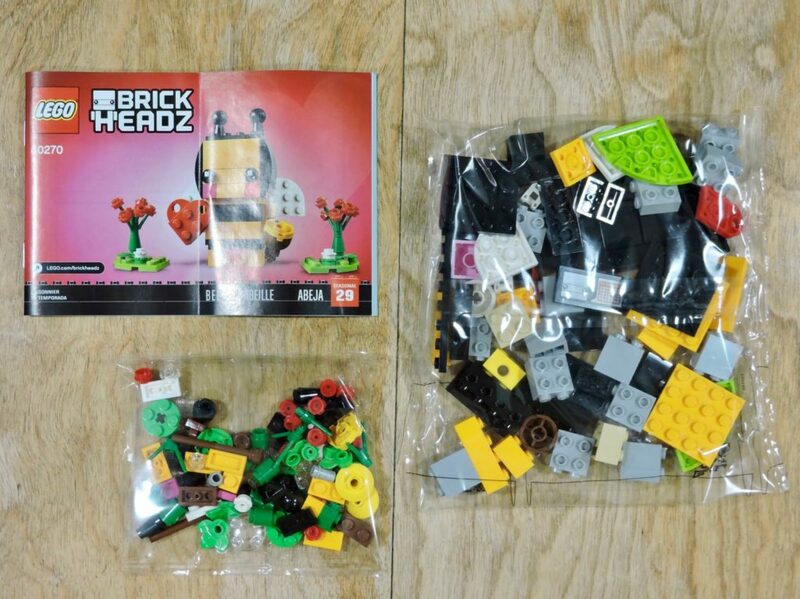 This model varies from the typical BrickHeadz with a decorated base. A pair of rose bushes flank the usual stand. A lot of new elements in use here. 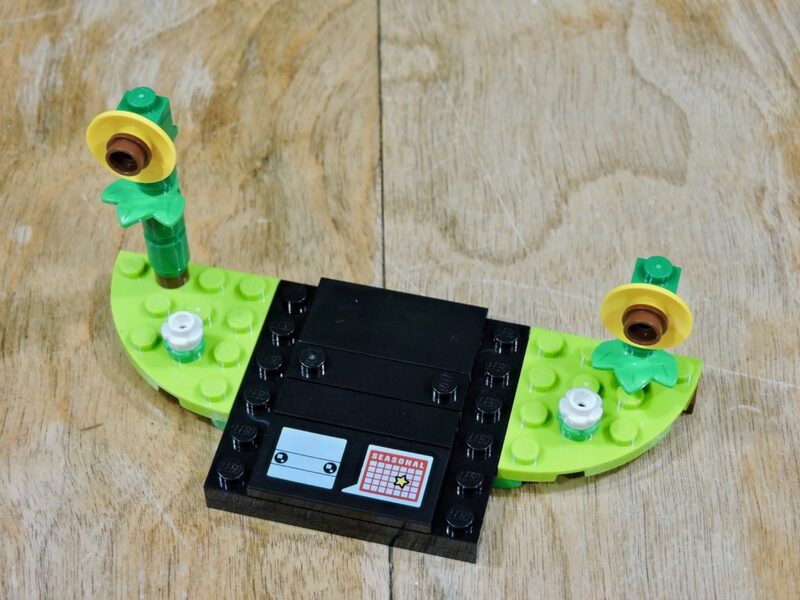 There is also an alternate configuration for the stand, with sunflowers. 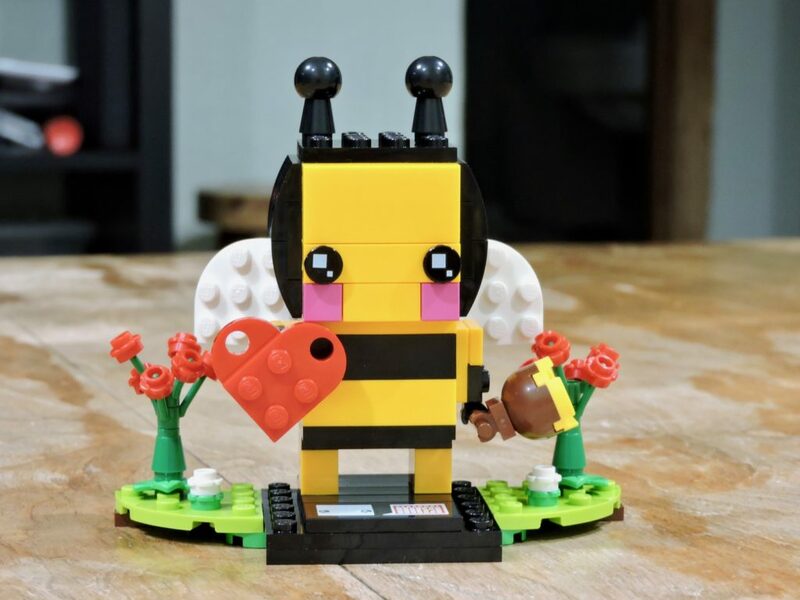 This is a cool option for people who like the bee but don’t have any interest in the Valentine’s Day theme. A decent number of extra elements left over after the build was finished. I’m going to have to reorganize my trays to accommodate all the new style flower plates! 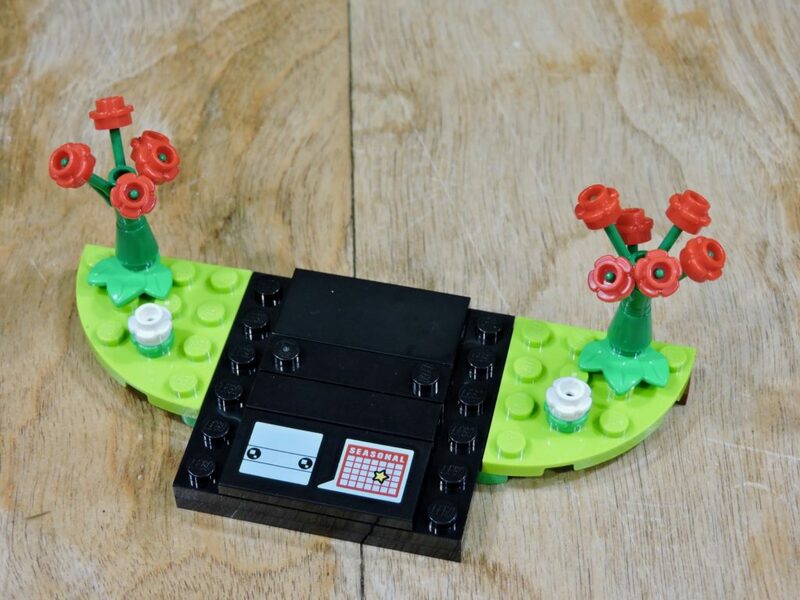 This is such a cute little set. 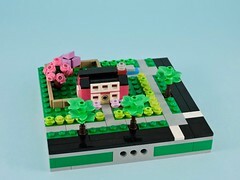 The finished model is a very ‘LEGO®’ holiday set. 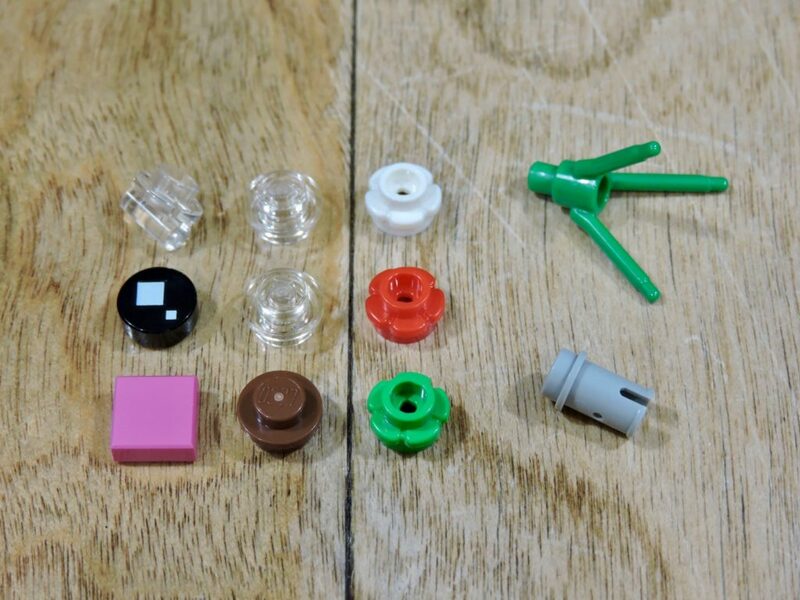 In addition to being adorable, this set is a great parts pack. 140 elements for $10 (just over 7¢ per piece) and 11 extras! As usual, I’ll probably be picking up a couple more, especially if they get marked down next month.